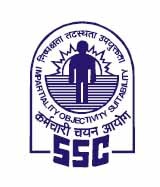 The Staff Selection Commission (SSC) is inviting online applications for Combined Graduate Level Examination 2018 (Tier I) will be held from 25th July 2018 to 20th August 2018 for filling up different categories of posts in various Ministries/ Departments/ Organisations. Last Date for Applications is 4th June 2018. Other details like age limit, educational qualification, selection process, application fee and how to apply are given below. 🔹Educational Qualification: Please read Official Notification for Educational Qualification details. ▶For Inspectors Not exceeding 27 years. ▶For Junior Statistical Officers Not exceeding 32 years. 🔹Scheme of the Examination: The examination will be conducted in 4 tier as indicated below. 🔹How to Apply: Interested Candidates may Apply Online Through official Website.